In this new DVD, Herschel the dog puppet - with lots of help from Dr. Day - learns about the challenges of running his own doggie treat business. In the process he learns about important economic concepts found in state and national standards. The DVD contains five 8- to 9-minute video programs. 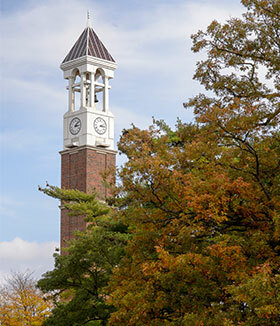 In each program, economic terms are clearly displayed for your students. You can download a teacher's guide from the KidsEcon Posters website (www.kidseconposters.com). Price: $9.50 for the DVD - all five programs. 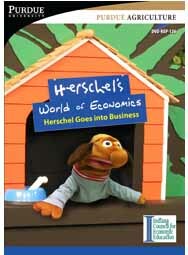 Save money by ordering this new Herschel Goes into Business DVD in combination with other Herschel/KidsEcon Posters products. DVD/Poster Combo: The new Herschel DVD with 22 Original KidsEcon Posters- Click here to order. Super Combo: The new Herschel DVD, 22 Original KidsEcon Posters, plus the new Herschel 12" puppet-. Double DVD and Poster Combo: Both DVDs (the new Herschel DVD and the original Herschel DVD), plus 22 Original KidsEcon Posters-.